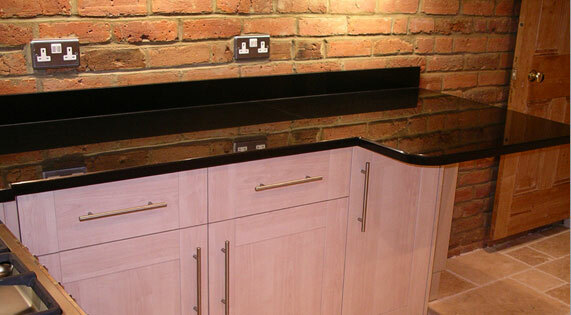 To knock the existing kitchen, utility and cloak room into one luxury kitchen with an integral dining area. 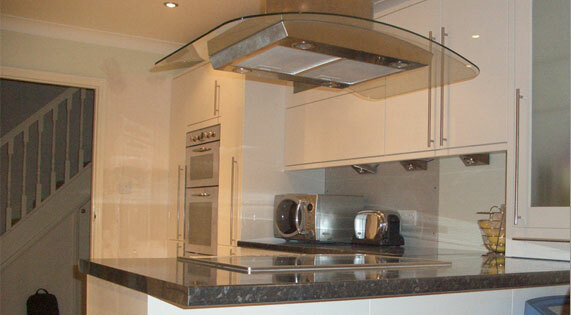 The kitchen included a ceiling hung canopy hood over the breakfast bar style hob, as shown. This fit out included the removal of a window to create an arched opening between the new kitchen and a conservatory / dining area. 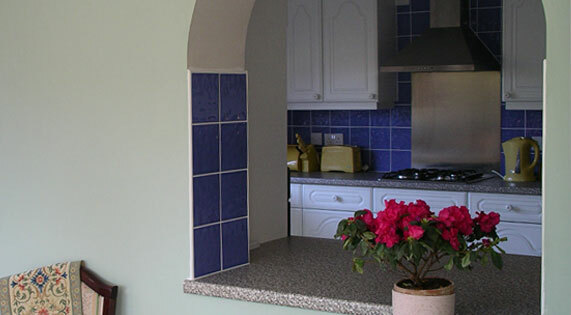 The kitchen is a modern white look and blue wall tiles were used to create a contrasting look. 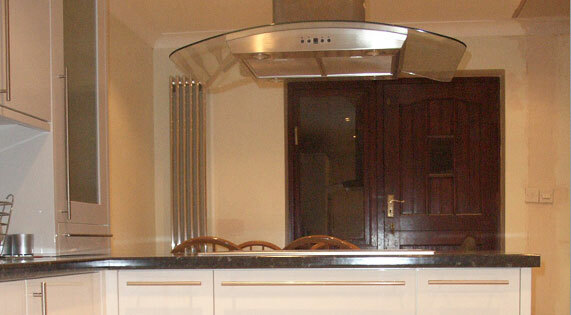 A modern kitchen complemented by a dining area which has a tall stylish 5 bar chrome wall mounted radiator. A white stylish modern kitchen in a contemporary finish to compliment with existing style of the other zones within the property. 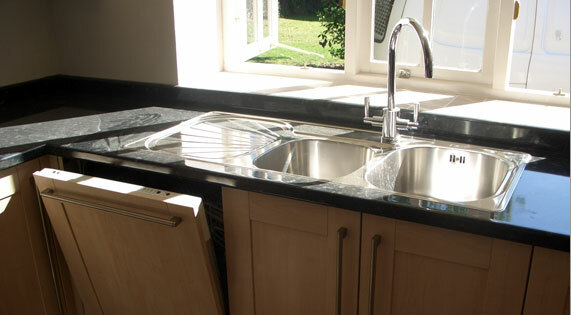 One and three quarter stainless steel Frankie sink with integrated dishwasher underneath. 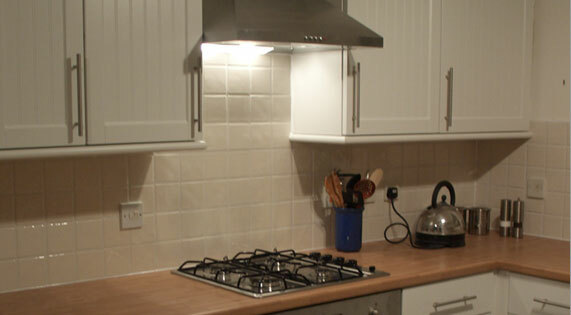 Upstands used to finish off the worktops to create this stylish look. 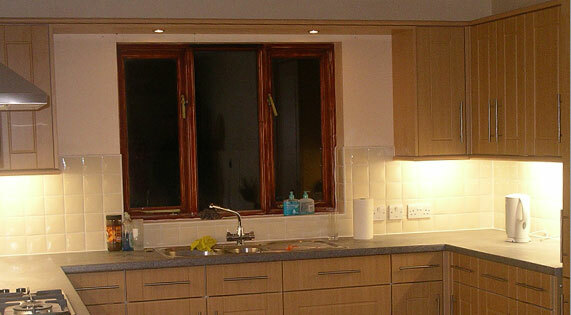 'U' shaped kitchen with flyover linking wall units with down lighters. Spotlights recessed into the ceiling to create an ambient mood. New arch built to link the kitchen to the utility area. 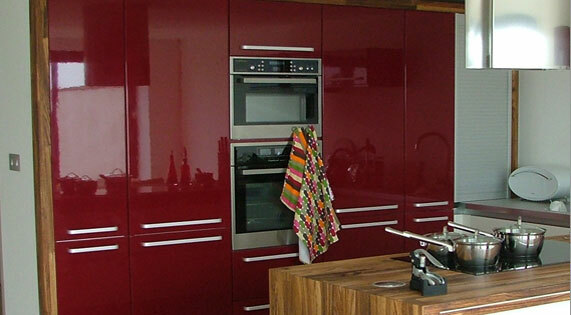 This high gloss kitchen was installed and a false wall built behind the red bank of units to house and hide all the water and electrical connections. The outside of the units is capped in Zebrano timber to match the 'Spekva' worktop. The hood has an external motor which we routed and fitted thus reducing fan noise. 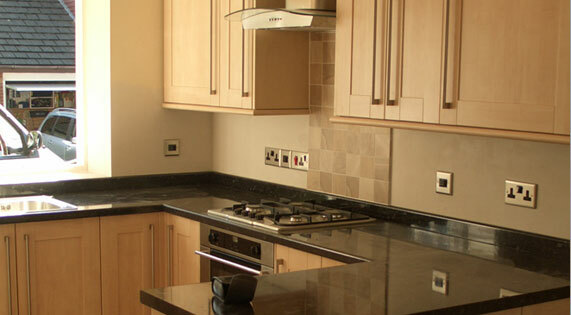 Kitchen finished with solid granite worktops and upstands. Floor finished in sandstone to enhance the overall look and provide a durable long lasting surface. 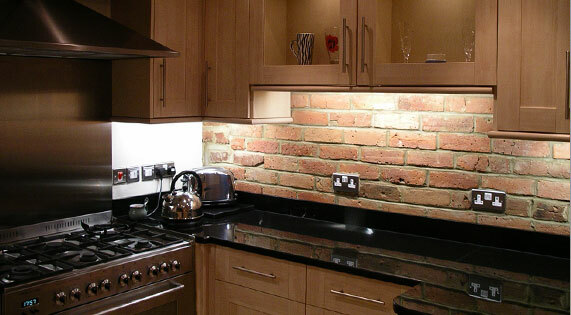 Existing kitchen was removed along with rendering to expose original brickwork. New electrics, under lighting and a range cooker with a stainless steel splashback and canopy hood made this a very individual and outstanding kitchen.